The annual “Arrowverse” crossover has become one of the most anticipated events for fans who keep up with the shows, and this year’s crossover is shaping up to be something special. Ruby Rose is set to make her debut as Batwoman, and it was recently revealed that Tyler Hoechlin’s Superman will be wearing the black suit during the crossover. 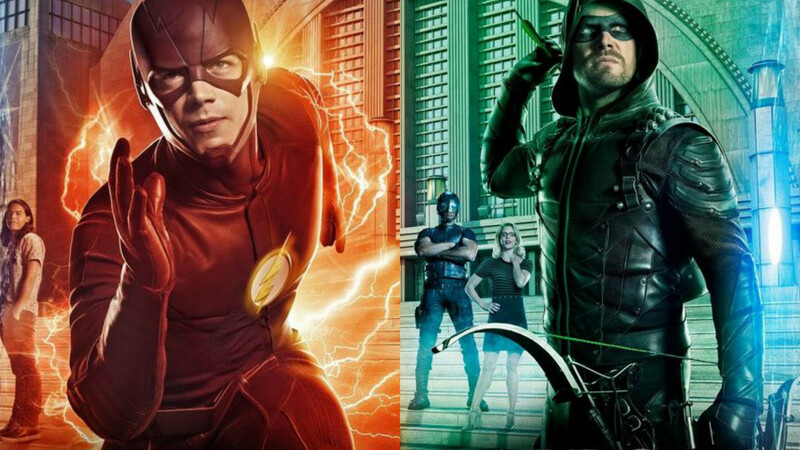 The CW recently released the first poster for “Elseworlds” and it got a lot of fans talking because it feature Barry Allen as the Green Arrow, and Oliver Queen as The Flash. Details regarding the story are being kept under wraps, so it remains to be seen at this point if Earth-1 Barry and Oliver will end up switching identities for some reason, or if we’ll be meeting their counterparts from another Earth. We’ll have to wait to find out, but in the meantime Stephen Amell is teasing fans with photos of his Flash costume on Instagram. The crossover will kick off with an episode of “The Flash” on Sunday, December 9 and then continue the next night with “Arrow” on Monday, December 10, before coming to a close with “Supergirl” on Tuesday, December 11.